Shameless plug: I love Stella and Dot jewelry. Their pieces are so stylish, layer-able, and come in delightful colors. One of my favorite bloggers is a Stella and Dot stylist, and I really enjoy following her combinations. That being said, I have yet to purchase my first Stella and Dot piece. Why? The incredibly large price tag. I’ve been preparing for my semester in Austria for months now, and I have mostly been hunting accessories to help dress up my otherwise- neutral wardrobe (perfect for mixing and matching… not so much for being fashionable). 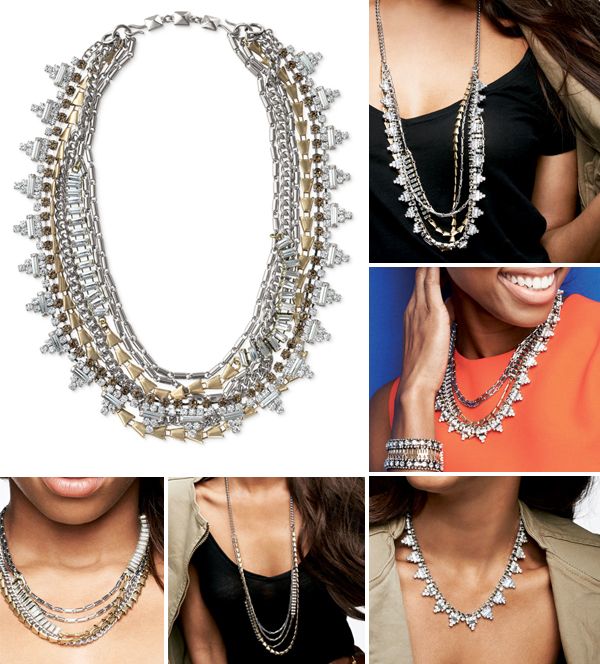 One of my favorite Stella and Dot necklaces is the “Sutton,” which is a beautiful and versatile mixed-metal beauty. 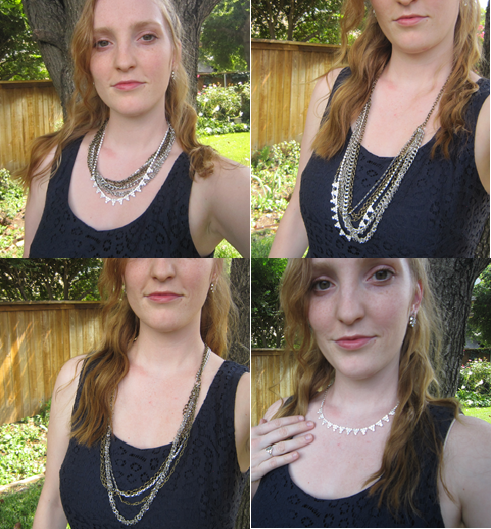 This gorgeous layering necklace can be all yours for one small payment of $128….. plus shipping. I immediately began a quest to create a similar necklace all on my own, hoping to make a WAY smaller dent in my wallet. Yay for me, I succeeded! 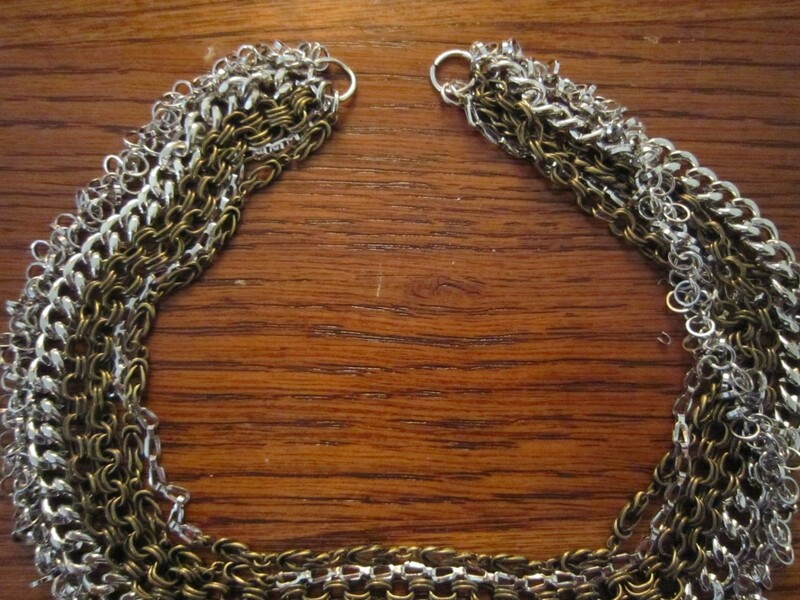 If you’re interested in creating your own lookalike Sutton necklace, keep reading! First, select the chains you wish to use. Clip off all unnecessary baubles, and remove the clasps and extender chains from each. 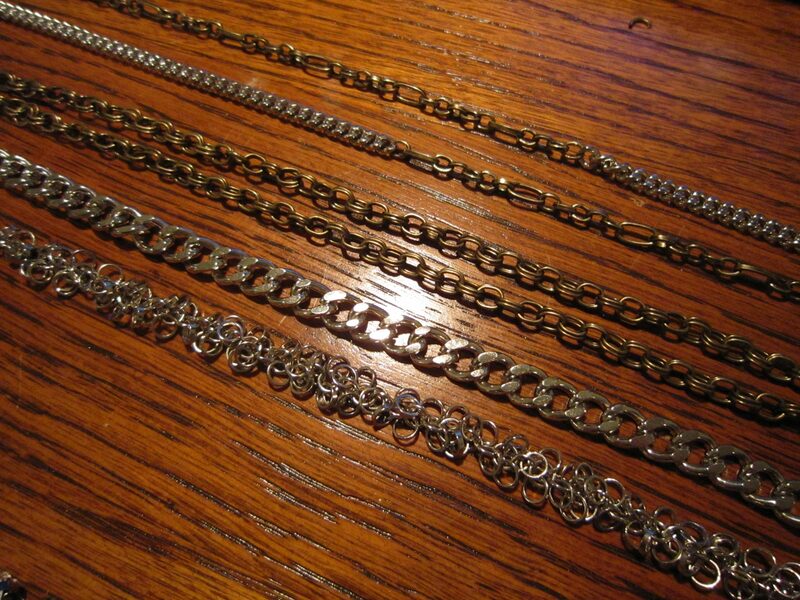 Lay out your chains in order from shortest to longest. Attach small jump rings to the end of each if needed. 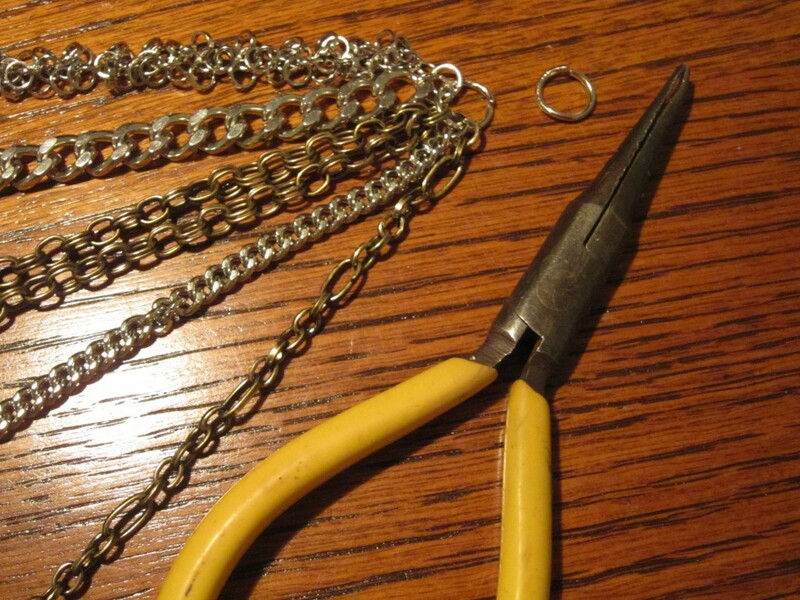 Using large jump rings, connect the ends of allchains in order, on both ends. The main body of your Sutton necklace is now finished! Next, create the extender chain that will connect both ends. 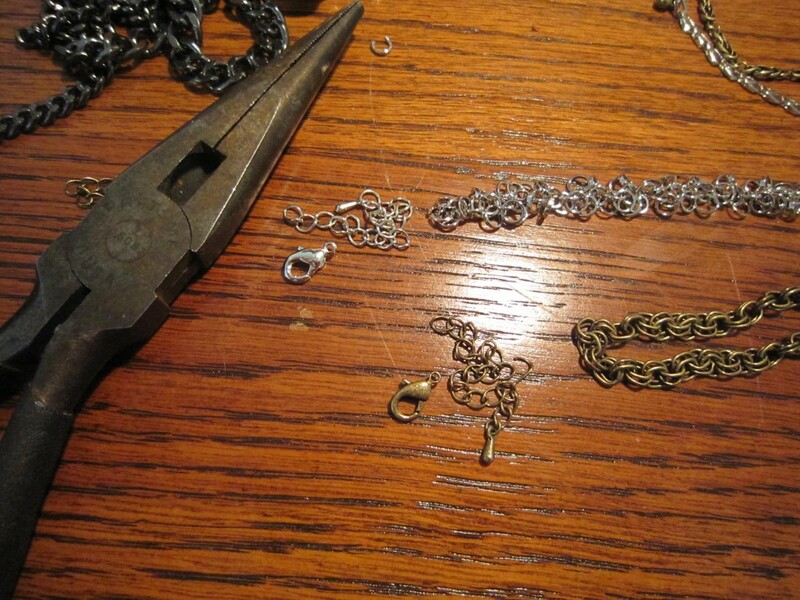 Clip off a 2.5″ piece of some leftover chain, and attach a lobster clasp to each end. Select your “sparkle strand,” and attach small clasps to each end. Finally, attach everything together! 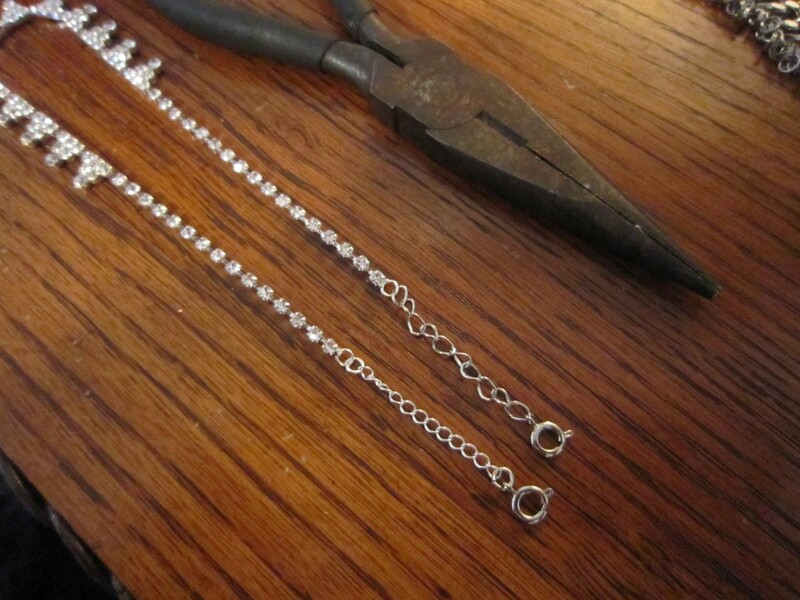 Add the sparkle strand to the body of the necklace by clipping each end to one of the large jump rings. Do the same with the small extender (which will rest at the nape of your neck when worn). Ta-da!! The Sutton necklace is reborn. Wear this necklace in all its glory, and rejoice that you only spent a fraction on supplies! 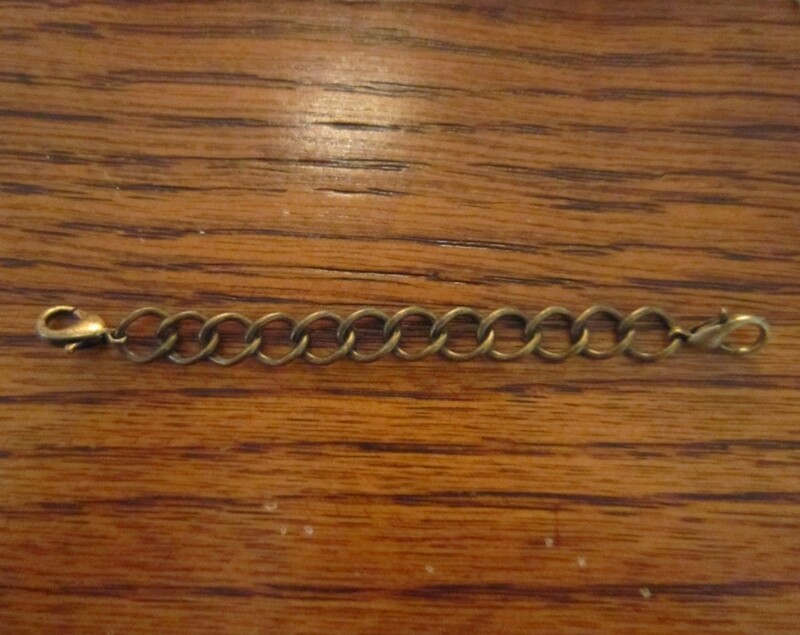 If you’re interested in the Sutton look-alike necklace but feel that your metalworking skills aren’t quite up to par (or, if your garage isn’t already stocked with tools), I am commissioning a few of these necklaces. Email me if you’d like me to create one for you! Each strand of mixed metal is hand selected and measured.